The Academy did not recognize the genius of your groundbreaking sci-fi/inter-species romance about kittens and puppies in space. Your invitations to the Vanity Fair party and the Governor’s Ball have, apparently, gotten lost in the mail. Despite the criminal oversight of your creativity and the incompetence of the U.S. mail, you’re still looking for a good party. Where to go to make the scene, dish the dresses, and eat and drink like a movie star? If your aim is to recreate the Hollywood experience, red carpet and all, you’ll want to opt for Hollywood’s Biggest Night at Grauman’s Million Dollar Theater. Yes, Virginia, there IS still a theater named Grauman’s…. Don your best glam rags (or come in your “I don’t give a damn jeans and t-shirt) then walk the Broadway red carpet while avoiding the paparazzi — so tiresome — and enter the legendary Million Dollar Theater. Grab a drink at the no-host bar, discreetly (or not) ogle the stunning interior, and mingle with your fellow should-have-been-nominees. Inside, your Academy Award experience will be less eye-straining than the actual Oscars thanks to the Million Dollar Theater’s giant screen. You don’t want to have to squint when you dis the competition…. HOLLYWOOD’S BIGGEST NIGHT! — 4 pm doors/red carpet coverage, 5:30 pm Awards show live streaming begins. $20; $15 LAHTF members — Grauman’s Million Dollar Theater, 307 S Broadway, DTLA 90013. Get tix HERE. 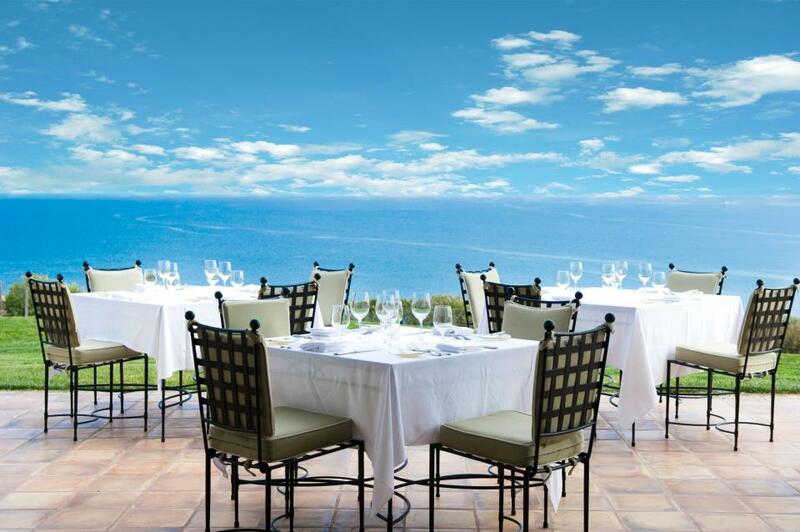 If you want the Brangelina luxe life in addition to watching them on the red carpet, make reservations at Terranea Resort‘s annual Oscar Night Viewing Party at Mar’sel. Wunderkind Chef de Cuisine Rebecca Merhej has created a menu inspired by eleven Oscar hopefuls. Dishes include: Potato Blini with caviar, crème fraiche, and truffle oil (The Wolf of Wall Street) to “Science Oven” Hot Pockets made from house-made pan bianco and filled with white cheddar and prosciutto (American Hustle), and Roasted Bone Marrow with garlic confit and pickled vegetables (The Croods). Desserts include Moon Pie (Gravity, natch) and Saltwater Taffy (Captain Phillips). Of course there will be themed cocktails as well as three varieties of champagne…. In addition to eating the Oscars, you can vote on them. The Viewing Party guest with the most correct answers on their Oscar ballot will win dinner for two (valued at $250) at Mar’sel. And, of course, you have the option of spending the night at the gorgeous Terranea Resort and waking up to the sound of ocean waves. American Hustle money view? Priceless…. Your guide to the Oscars?!?! If you want irreverent hilarity with your movie hits, head to Cinefamily for The Doug Benson Movie Awards Party 2014 where everyone’s fave Wise Fool pokes holes in the pretentious bubble of the movie industry’s self-celebration. This is a FREE, Members-Only +1 event but if there was ever a time to join L.A.’s best, curated movie experience, today is the day. Registration is a must as is a potluck dish. Don’t try rolling in with a bowl of stale popcorn. You’re encouraged to step up your game with an Oscar-inspired dish; in addition to a bevy of equally snarky pals adding their own commentary throughout the show, Benson and Dining with Doug and Karen podcast partner Karen Anderson will be sampling your culinary creations during the podcast. Wolf of Wall Street steak with a side of Adderall, anyone? 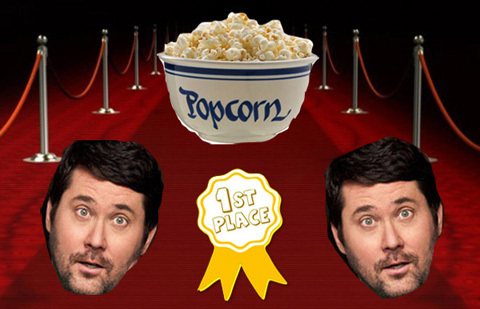 THE DOUG BENSON MOVIE AWARDS PARTY 2014 — Potluck 3-4pm. Red Carpet Interruption 4-5pm. Awards Interruption 5pm. FREE to Cinefamily Members +1 — The Cinefamily, 611 N Fairfax, LA 90036. To register, go HERE. Previous Post The Go Go: Wong Choice, Ray of Light, Glamour Perl + More – UPDATE!